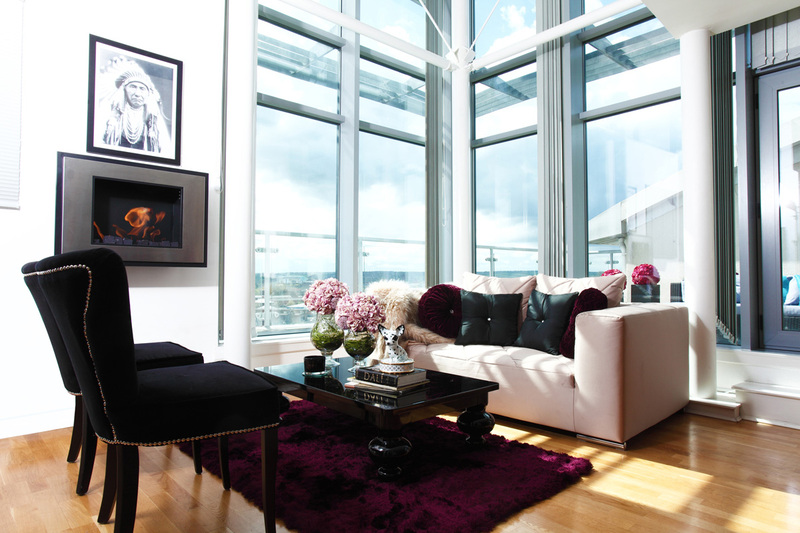 A young professional wanted her new penthouse apartment to look luxurious and cosy within a budget, yet creating a wow factor. The client wanted some new furniture and accessories for her lounge and master bedroom. After the initial consultation, Tareen and Tareen knew exactly the sort of look the client wanted, which was a classically modern look (the right balance of modern and traditional furniture, accessories, etc). A Moodboard specifying products was created and the client was happy to commence with the project. A new sofa, coffee table, chairs and beautiful cushions were ordered for the lounge. Bespoke flower arrangements were made for the vases on the coffee table and a stunning handmade porcelain dog was ordered from Austria. A headboard studded with Swarovski crystals was designed, chaise, rug and a bed with storage were ordered for the master bedroom. New curtains, lamps, chandelier and a wall-hung mirror with inset candles finished off the room beautifully. The client really wanted a piece of artwork for her bedroom but there was no wall hanging space. We specified a unique oversized painting from Italy to put against one of the walls. The client agreed and was surprised to find how perfectly the art fitted within the room. 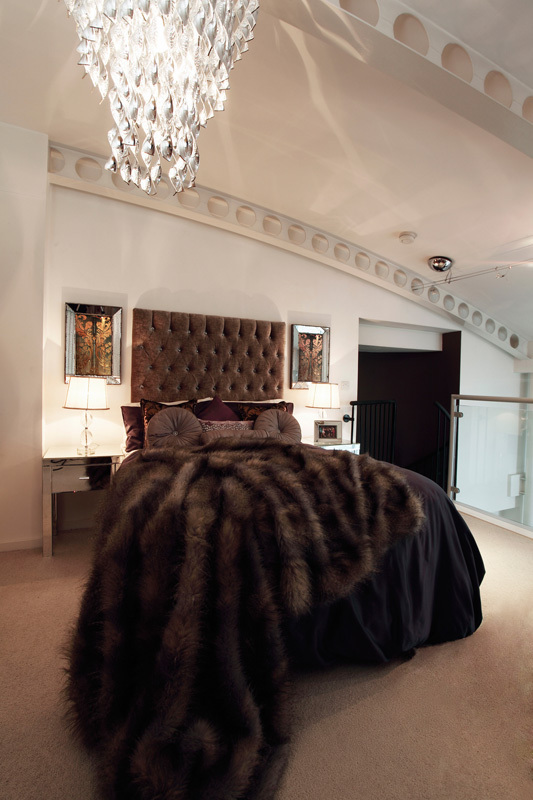 The project finished successfully and the client was highly pleased with her beautiful penthouse.